Exclusive Free Gift When Purchasing Turbo Fire. Try the remix version of Turbo Fire's HIIT drills and keep Burning more fat in half the time. It's all about mixing things up and constantly tricking your body with new moves. That's why Chalene came up with this bonus workout so you burn more fat than if you do traditional cardio. 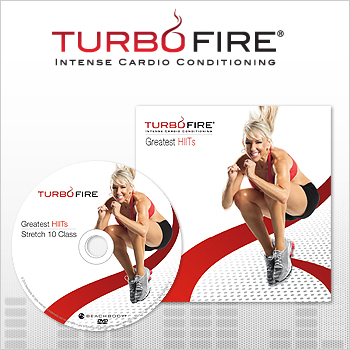 Turbo Fire Greatest HIITS is a quick 20 minute workout that will keep you moving and make you sweat Chalene style! It's a perfect workout when you are short on time and yet want to stick to your commitment to a healthier you.